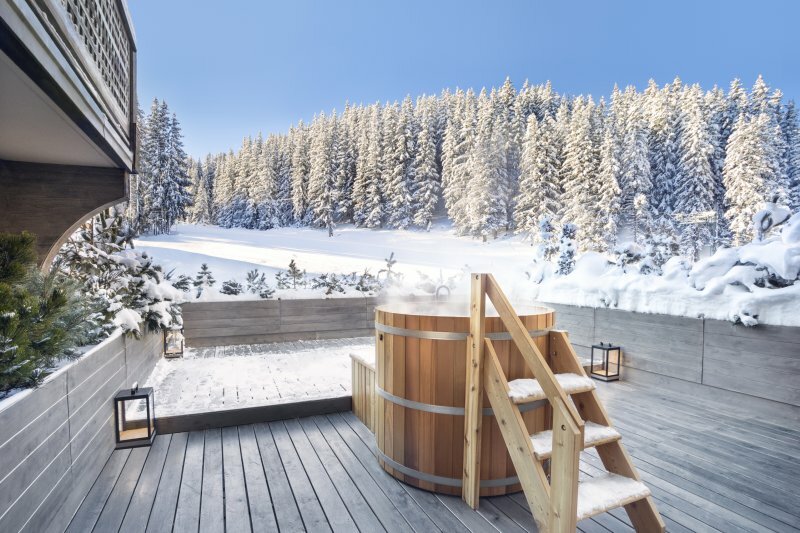 An ultimate luxury escape located at the top of Courchevel, it's hard to find more high class luxury and service at such an altitude. La Sivoliere is on of the most snow secure places within the winter wonderland of the Alps. Expect authentic Savoyarde style architecture with a modern twist combined with contemporary art and perfectly corresponding interior decoration done by Tristan Auer, a Parisian Interior designer who's renowned for his great vision and works with the world's most prestigious brands like Cartier. Therefore, La Sivoliere is a more that 'just' a luxurious property and has a modern and vibrant atmosphere. The hotel offers a great spa that features a counter current swimming pool, a steam room and sauna, a gym with cardio training facilities and the spa offers various beauty treatments and massages in specially appointed treatment rooms. If you need to get your muscles awakened or just want to stay in shape the hotel offers Aquabike lessons that can be booked in advance at the concierge. 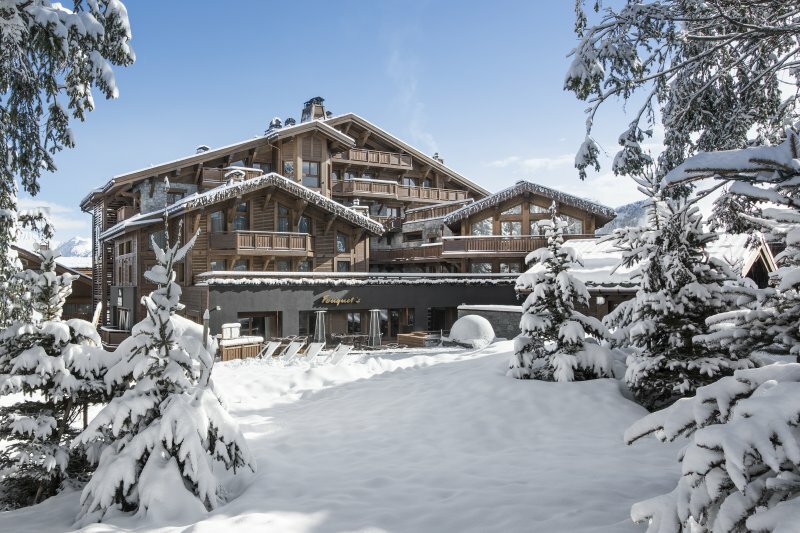 Both Skiers and non skiers can really enjoy their stay at La Sivoliere as the hotel offers many activities throughout the season like paragliding or discovering the area from a plane or helicopter from the nearby local airport of Courchevel. The concierge is pleased to assist you with booking these activities and to handle almost any of your requests. 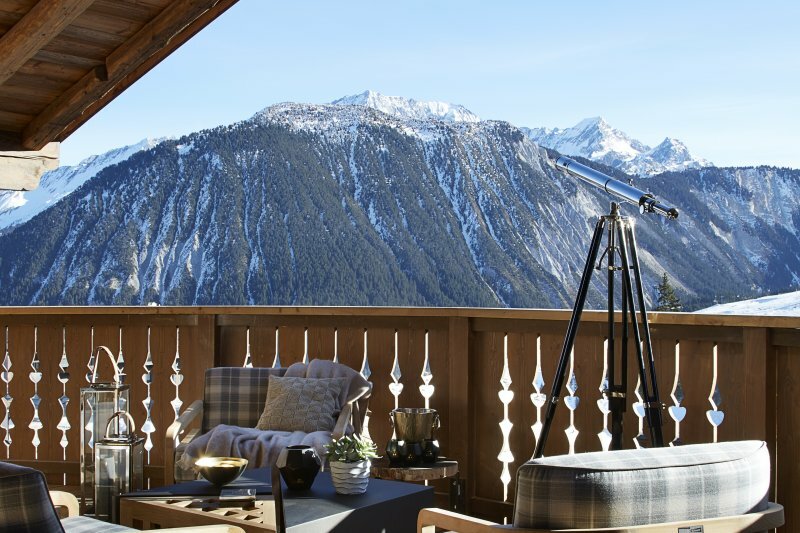 La Sivoliere has really thought about their culinary escapades and offers offers two beautiful restaurants located on the slopes called Le 1850 and Le Dou du Midi. Next to these restaurants, the hotel offer spectacular dining with large bay windows overlooking the snow covered forest. Both restaurants are designed by Tristan Auer and managed by head chef Bilal Amrani. He's known for his creative cuisine and the restaurant Le 1850 is even acknowledged with 3 red forks by the Michelin guide. The bar at La Sivoliere is just as the the rest of the hotel's design, warm and welcoming. Expect superb cocktails, refreshing after-ski drinks and good company. The hotel offers 24 rooms from 25 m2 to 35m2, 11 suites from 45 to 100m2 and a apartment of 145 m2. Parking is available and there is a shuttle service included tot the village center and back so no need to drag all you shopping bags trough the snow. Many of the shops in Couchevel can also have you shopping items delivered to your hotel and the staff will bring them to your room. The breakfast is a true promised land for lovers of good and healthy food. You can expect things like: homemade bread, dairy and cheese from Savoie, homemade fresh fruit-juices comb honey, organic jam, crèpes and more. The hotel is ideally located if you are looking for a snow secure winter escape. From here you can easily go on breathtaking hikes or click on you ski's and of you go. No need to take a shuttle or car. Courchevel is ideally located within the 3 Vallees area as you can easily get to all directions and explore the area. This is a very family friendly hotel and as they are well anticipated to their stay every one can really get to rest here and enjoy their stay. The hotel has a special menu, exclusively for children at the so called 'Le mini 1850'. Next to this there are many activities for the kids available like creative workshops at the Mini Sivo Club and the hotel even has a 'mini front desk'!